Ramadan is the month of fasting that followers of Islam celebrate across the world. While kids don't need to fast, they usually do have a lot of fun sitting down with the family to try the special dishes made during Iftar - the meal had at the time of breaking the fast at sunset. 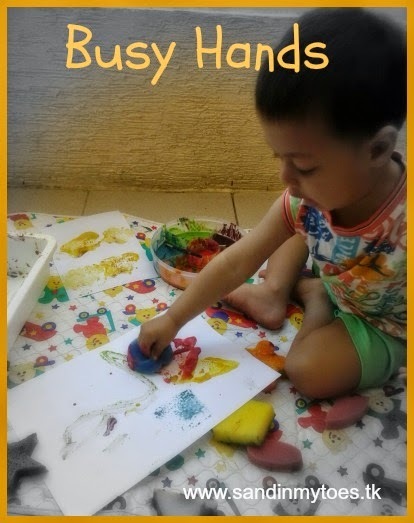 There are many ways in which kids can be involved during this Holy Month too. One thing that is emphasized the most during Ramadan is charity, and being kind to others. It is also about refraining from lying, and other bad deeds. I came up with this idea to celebrate '30 Days of Kindness' with kids during Ramadan. Anyone can use the free calendar printable and partake in the spirit of giving. The calendar can be used by kids who celebrate Ramadan at home, and even kids who would like to learn more about this special month in the Muslim calendar. You can also think of it as a tool to teach them about how Ramadan is associated with charity and kindness, and how the smallest acts of good towards others are still significant. One kind deed a day can bring so much goodness into the lives of others. 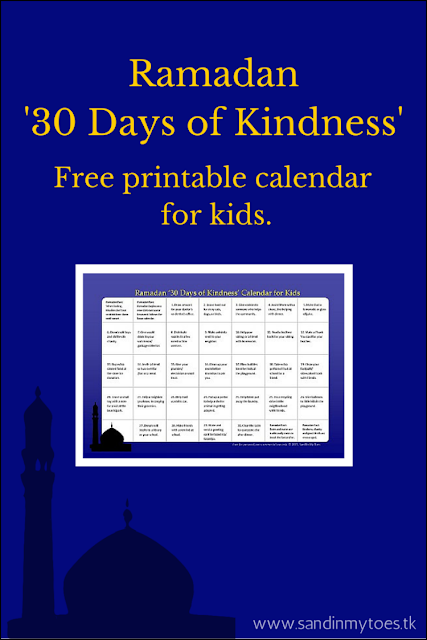 Family members are included in this calendar, so kids can understand how being kind starts at home. - Choose any act of kindness every day of the month during Ramadan. 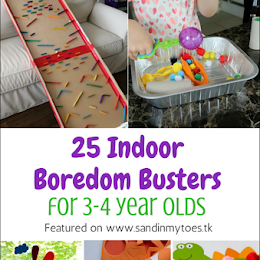 Kids can circle each one when they're done. - I have also included some Ramadan Facts which you can discuss with them. - Most of the acts of kindness are general, but you may want to modify them to suit you, or even do something of your own instead. 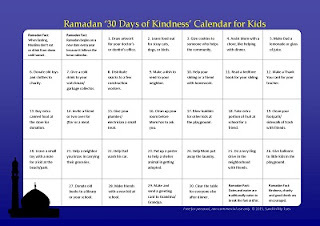 Download the free Ramadan Kindness Calendar for Kids. Once you have clicked on the link, it will open in Google Drive. There is no log-in required. You can either download the printable by clicking on the arrow (for printing later), or print directly by clicking on the print icon. 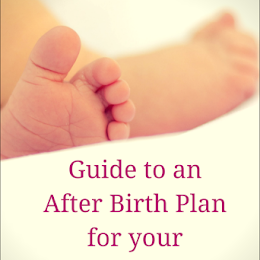 The file is in PDF format, you will have to use Adobe Reader if you are downloading it to open and print later. When you print, make sure your printer's setting is in the A4 paper size, Landscape format. 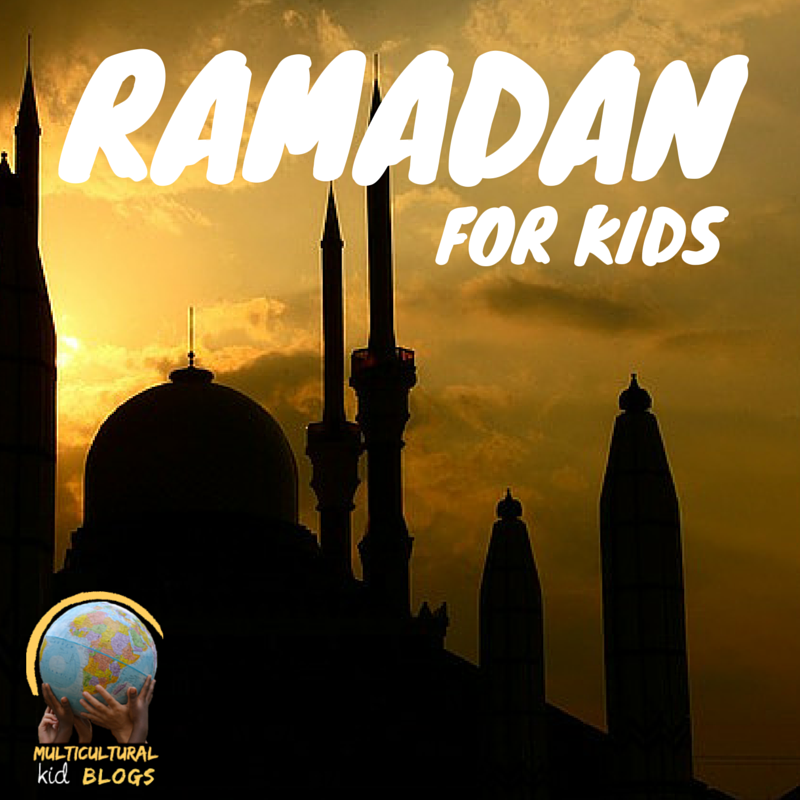 This post is part of the Ramadan For Kids series on Multicultural Kid Blogs. Follow this series for great ideas on involving kids in Ramadan from bloggers around the world. You can also follow our Ramadan for Kids board on Pinterest or see Multicultural Kid Blogs on Facebook for updates. 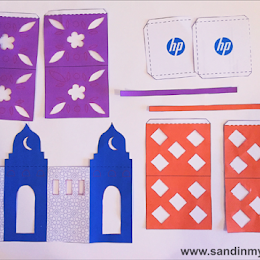 Also join Sand In My Toes on Instagram for more Ramadan ideas for kids! Ramadan Mubarak lovely. I love the calendar for kisses. Brilliant idea! Thank you so much, the whole idea is to reiterate the importance of kindness acts. Ramadan Mubarak to you too, glad you like the calendar! That's a great idea whatever you believe. Kindness and doing good deeds are excellent values to pass onto children.